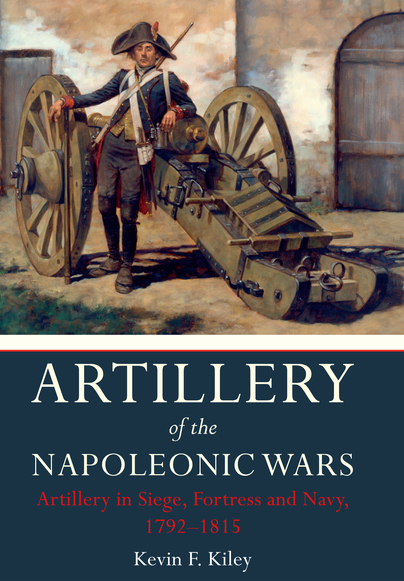 You'll be £12.00 closer to your next £10.00 credit when you purchase Artillery of the Napoleonic Wars Vol II. What's this? Napoleon was an artilleryman before he was an emperor. He understood the power and effectiveness of cannon and their ability to pulverise defences, reduce fortresses and destroy attacks. In return, the guns won Napoleon battles. This impressive study chronicles the story of the guns and men during the twenty-three years of almost continuous warfare from 1792–1815: from the battlefields of continental Europe to the almost primitive terrain of North America and of the seas, lakes and rivers that connected them. Detailed technical information is accompanied by vivid descriptions which allow the reader to imagine what it must have been liked to manoeuvre and man the guns in a variety of situations – whether on the march or on the battlefield. Based on years of research into regulations of the period, eyewitness accounts of artillerymen and material culled from official reports, the scope and depth of material will satisfy the serious researcher, while the lively narrative will appeal to the casual reader. Well documented in abundant documentation, and all this with a multitude of line drawings, maps, maps of forts, paintings, etc., which will delight all of us who are passionate about this interesting period. Another great work on the Napoleonic period without a doubt. Although Artillery of the Napoleonic Wars is filled with statistical information on the guns, ammunition, and carriages, used by the armies of the era, it is not a dry technical manual. Mr. Kiley writes in a narrative style that places the reader on the ground with the gunners. His vivid descriptions allows the reader to imagine what it must have been liked to maneuver and man the guns in a variety of situations – whether on the march or on the battlefield! The scope and depth of information in Artillery of the Napoleonic Wars 1792 – 1815 will satisfy both the serious researcher who is looking for technical information, while the lively narrative will appeal to the casual reader. ... This highly recommended work is a companion volume to the author's previously published work. A technical study with a multitude of data and information. Kiley's research is impeccable and deserves the highest praise. Moreover, he writes in so entertaining a manner that he informs and educates without effort. There is an excellent glossary and a valuable bibliography. The publishers are to be congratulated on the presentation, particularly the generous use of illustrations. For the enthusiastic student of the attack and defence of fortified places this is an essential book of reference.